Jody Folwell is known for her creative pottery shapes and designs. 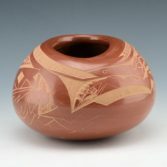 This is a classic style for her pottery with a fully polished surface and the asymmetrical mouth. The rim of the mouth extends down to the shoulder and it is fully polished. 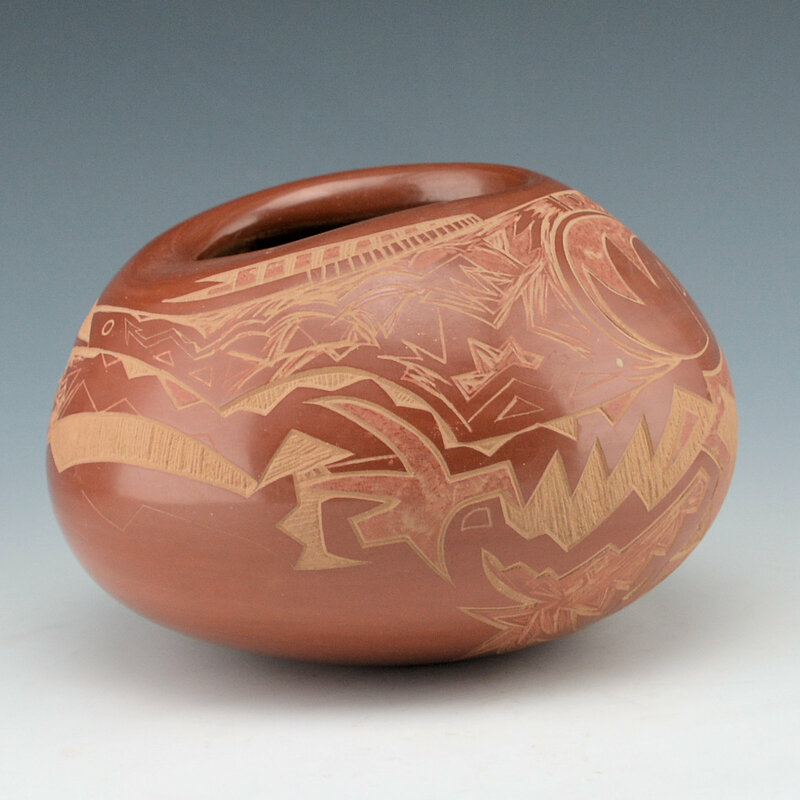 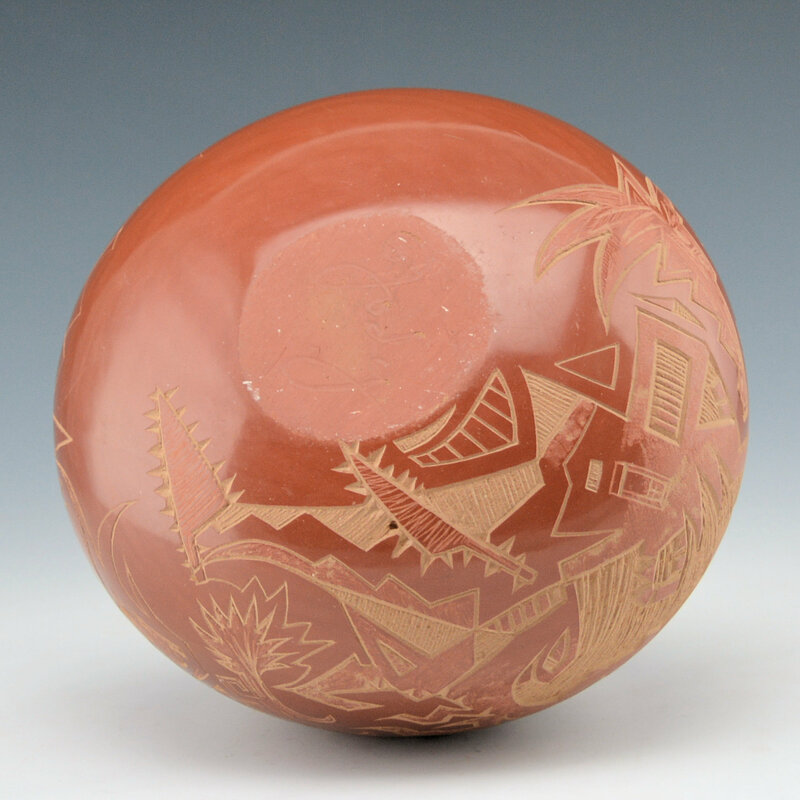 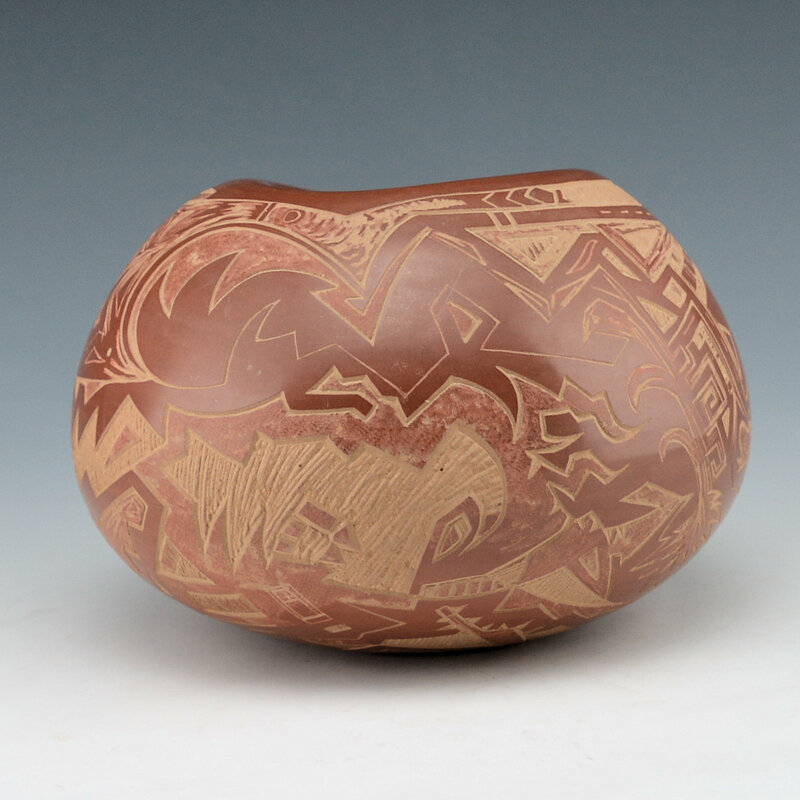 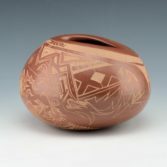 The designs are etched into the surface of the clay and various etching techniques are used to create the coloration. The corn plant pattern is the main imagery and it is surrounded by cloud, rain and Pueblo designs. 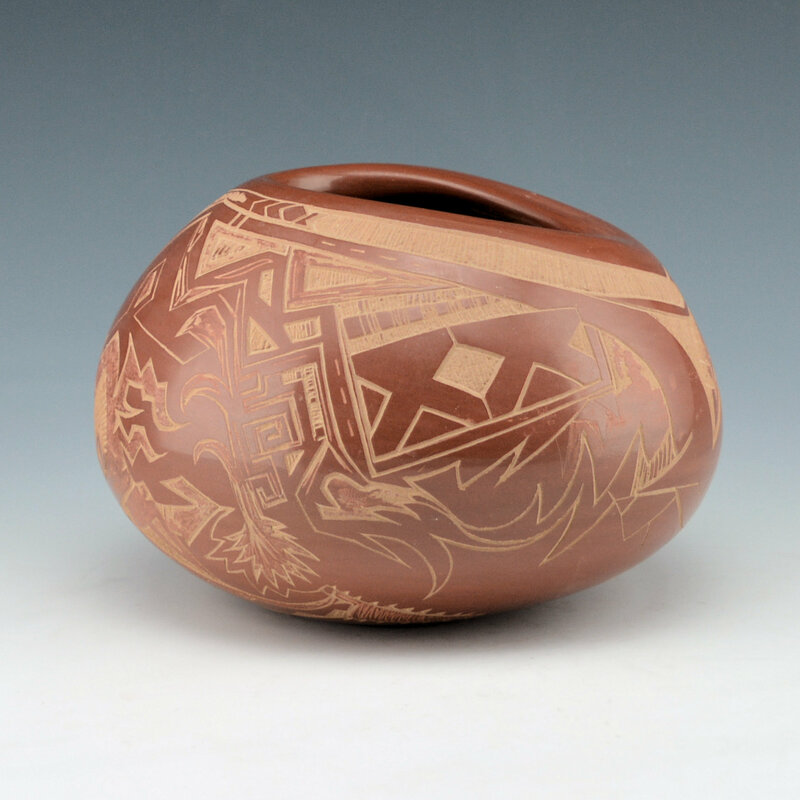 The various colorations from black to dark red are all from the traditional outdoor firing. 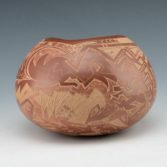 The bowl is signed on the bottom in the clay, “Jody”.